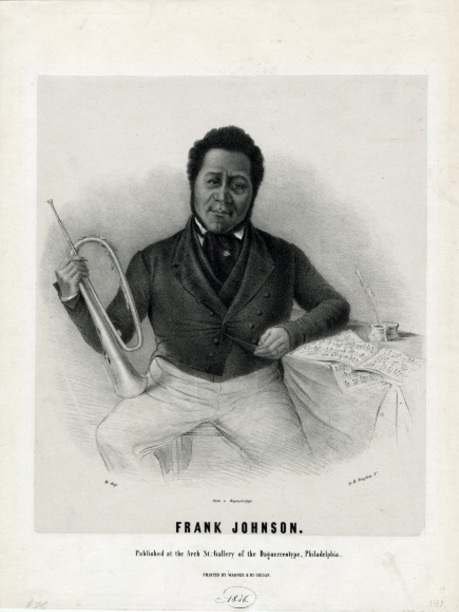 Frank Johnson was a well-known African American bandleader and composer in the early nineteenth-century. Born in Philadelphia in 1792, Johnson became the favored music director for the ballroom celebrations of the city’s social elite. He also led bands for several of the city’s military units. His all African American military band performed for the Marquis de Lafayette during parties when the celebrated French general returned to Philadelphia in 1824. Johnson was the first African American to have his music published (in 1818) and the first American, black or white, to lead a musical ensemble on a tour of Europe (in 1837). Johnson sometimes enlivened popular dance tunes with varied rhythms and melodies, an early example of fusing African-derived rhythmic and melodic elements with European-based harmonic and formal structures that would later give birth to jazz. In the 1920s and 1930s, black Philadelphia bandleaders such as Charlie Gaines, Frankie Fairfax, and others led dance bands in the swing style of jazz then gaining popularity. Gaines, playing trumpet in this 1940 photograph, got his start in 1918 playing for Philadelphia violinist and bandleader Charlie Taylor. 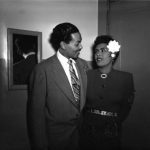 Over the next decade, Gaines continued honing his musical chops as a member of several jazz ensembles including Wilbur Sweatman’s orchestra in New York and Earl Walton’s band in Detroit. He also recorded music with Clarence Williams and Fats Waller, toured with the Hot Chocolates revue, and provided musical accompaniment for some of the era’s greatest jazz and blues vocalists including Ada “Bricktop” Smith, Ethel Waters, and Bessie Smith. By the early 1930s, Gaines had returned to Philadelphia and assembled his own band. Between gigs with his own orchestra, Gaines played with other jazz greats such as Louis Armstrong and Leroy Smith. In 1934, he returned to New York briefly to record an original song titled “Ants in My Pants.” Gaines worked steadily for the next three decades, performing regularly at the Club Harlem in Atlantic City and at the Cathay Tea Garden, the Walton Roof, and the Stephen Girard Hotel in Philadelphia. Following a heart attack in 1967 and a mild stroke in 1970, Gaines went into semiretirement, playing only occasionally until his death in 1986. 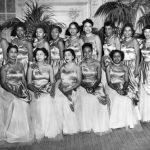 Although jazz has traditionally been a male-dominated musical style, women were part of the Philly jazz scene as well. Organists Trudy Pitts and Shirley Scott were among those who contributed to the city’s significant jazz organ tradition. Pitts is pictured here in 1950 (standing second from left) shortly before meeting Bill “Mr. C” Carney. At the time, Carney fronted the Hi-Tones, a jazz quartet featuring John Coltrane on saxophone, Tootie Heath on drums, and Shirley Scott on organ. When Scott left the Hi-Tones in 1955, Carney asked Pitts to step in as her replacement. Pitts, however, was classically trained and had little experience playing jazz. For the next few years, Carney mentored Pitts until she was ready to join his group on a full-time basis in 1958. That same year, Carney and Pitts were married, embarking on a musical and personal partnership that would last more than fifty years. Pitts helped popularize the Hammond B3 organ, which also became a favorite among R&B, reggae, and progressive rock musicians in the 1960s and 1970s. Over the years, Pitts and Carney recorded several albums together. Despite a devoted local following, the couple never achieved commercial success. Pitts and Carney stopped touring in the early 1970s to raise their family. In the mid-1990s, the couple established their own record label and released a new album titled “Me, Myself, and I.” In 1999, Prestige Records released a compilation of earlier recordings titled “Legends of Acid Jazz: Trudy Pitts and Pat Martino” and in 2006, Pitts performed at the Kimmel Center’s Verizon Hall and at the eleventh annual Mary Lou Williams Women in Jazz Festival in Washington, D.C. Pitts died of pancreatic cancer in 2010 at the age of 78. During the heyday of Philadelphia jazz from the 1940s through 1960s, the city was alive with jazz clubs and home to many of the music’s leading figures. Better-known touring bands, however, played the theaters, either black theaters such as the Royal, Lincoln, or Pearl, or, in the case of the biggest name bands, both black and white, the Earle Theater, the ornate showplace at Eleventh and Market Streets. Many Philadelphia jazzmen who came of age in the 1930s and 1940s saw Duke Ellington, Benny Goodman, and their other musical idols at the Earle Theater. 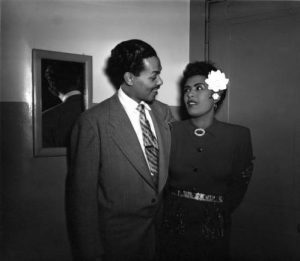 In this 1946 photograph, bandleader Billy Eckstine poses with legendary jazz vocalist Billie Holiday inside the Earle Theater. The image is the work of John Mosley, an African American Philadelphian who specialized in documenting African-American culture. 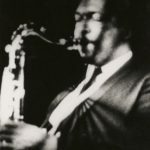 Saxophonist John Coltrane was among local musicians who played for rhythm and blues bandleader Benjamin "Bull Moose" Jackson when the touring Jackson performed in Philadelphia. Coltrane went on have his own profound influence on jazz and related music styles. His early musical training included the Ornstein School of Music in Philadelphia. 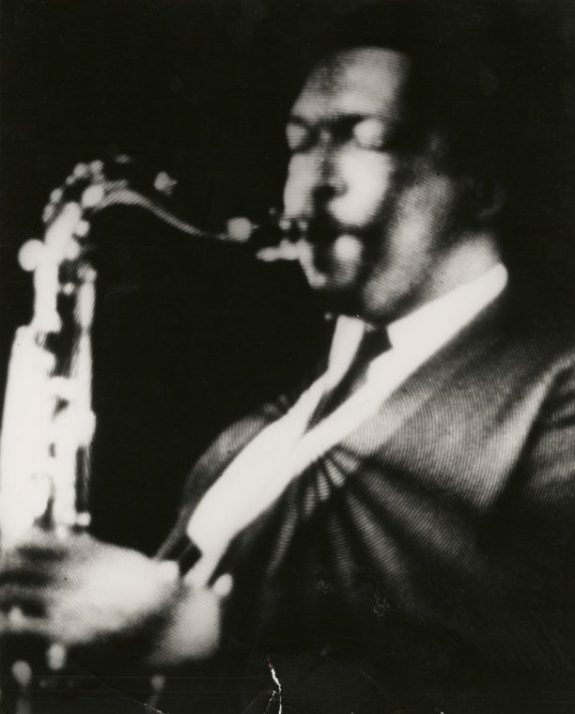 Coltrane, seen here in an undated photograph from the New York Public Library collection, began playing the alto saxophone in high school in the 1940s. By 1960 he had formed the John Coltrane Quartet, which, as the official Coltrane website notes, "created some of the most innovative and expressive music in Jazz history." He died of liver disease in 1967. John Coltrane began playing the alto saxophone for his high school band in his hometown of High Point, North Carolina. After graduating, he moved to Philadelphia where he studied, briefly, at the Ornstein School of Music, founded by avant-garde composer Leo Ornstein. After a stint in the U.S. Navy, where he made his first recording with other enlisted men, Coltrane returned to Philadelphia and took work as a sideman, touring and recording with established groups. One of these was Cleveland-based rhythm-and-blues bandleader "Bull Moose" Jackson, who hired Coltrane to play with his group during its Philadelphia shows. Jazz began to emerge as a distinct musical style around the turn of the twentieth century, a merging of two vernacular African American musical styles—ragtime and blues—with elements of popular music. New Orleans, the “cradle of jazz,” was the most important city in this process, with Chicago and New York playing particularly significant roles in the 1920s and 1930s. By the mid-twentieth century Philadelphia had become an important jazz center and a key training ground for influential jazz musicians. During its jazz heyday of the 1940s–1960s, Philadelphia produced an extraordinary number of leading jazzmen, several of whom became transformative figures in jazz history. Jazz was created primarily by black musicians in its early years, but white musicians adopted the style early on and made contributions to its development. It was, in fact, a white New Orleans group, the Original Dixieland Jazz Band, that made the first jazz recordings in 1917. 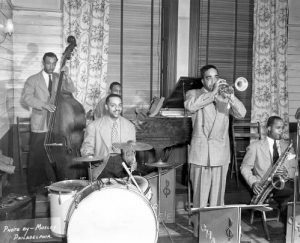 As jazz gained national popularity in the late 1910s, many of its early practitioners began to leave New Orleans for the cities of the North. Chicago and New York were primary destinations, but Philadelphia also welcomed some of these jazzmen. Trumpeter Freddie Keppard (1889–1933), a key early figure, had a successful extended gig in Philadelphia in 1917. His former New Orleans bandmate, clarinetist George Baquet (1881–1949), moved to Philadelphia in 1923 and remained active in the city’s music scene for the rest of his life. These musicians came to a city with a long tradition of African American popular music. 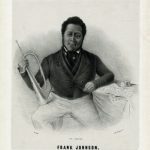 Frank Johnson (1792–1844) was a well-known African American bandleader and composer in early nineteenth-century Philadelphia who led bands for several of the city’s military units and was the favored music director for the balls of the city’s social elite. Johnson was the first African American to have his music published (in 1818) and the first American, black or white, to lead a musical ensemble on a tour of Europe (in 1837). Johnson sometimes enlivened popular dance tunes with varied rhythms and melodies, an early example of fusing African-derived rhythmic and melodic elements with European-based harmonic and formal structures that would later give birth to jazz. A century later, in the 1920s and 1930s, black Philadelphia bandleaders Charlie Gaines (1900–87), Frankie Fairfax (1899–1972), and others led dance bands in the swing style of jazz then gaining popularity. Philadelphia saw a huge increase in its African American population in this period as a result of the Great Migration, the mass movement of blacks out of the rural South to the cities of the North. These newcomers brought their southern musical traditions with them, joining urban black musicians whose families had been living in the city for generations. The result was a particularly vibrant African American musical culture, one that would nurture the careers of numerous important jazz musicians. In 1935 some of these musicians established Local #274 of the American Federation of Musicians, the Philadelphia black musicians’ union that would serve as a focal point of the city’s jazz community until its dissolution in 1971. Among the noted jazz musicians who came to Philadelphia from the South in the 1930s were bebop pioneer Dizzy Gillespie (1917–93) and rhythm and blues star Louis Jordan (1908–75), both of whom settled in Philadelphia early in their careers and honed their skills for a few years before moving on to New York City, the great jazz mecca. Others spent longer periods in Philadelphia. Saxophonist John Coltrane (1926–67), one of the most influential figures in jazz history, moved to Philadelphia from North Carolina in 1943 at the age of seventeen, joining native-born Philadelphians such as saxophonists Jimmy Heath (b. 1926) and Benny Golson (b. 1929), pianist McCoy Tyner (b. 1938), trumpeter Lee Morgan (1938–72), and others in the city’s especially fertile midcentury jazz scene. They developed their craft through informal jam sessions, gigging in local clubs and dance halls, and occasionally touring with traveling groups. Other musical luminaries nurtured in the rich Philadelphia jazz tradition of this era include Clifford Brown (1930–56), Percy (1923–2005) and Albert “Tootie” Heath (b. 1935), Bobby Timmons (1935–74), “Philly” Joe Jones (1923–85), Jimmy Smith (1928–2005), Jimmy Garrison (1934–76), Reggie Workman (b. 1937), Kenny Barron (b. 1943), and Archie Shepp (b. 1937). 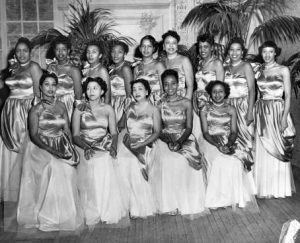 Although jazz has traditionally been a male-dominated music, women were part of the Philly jazz scene as well. Organists Trudy Pitts (1932–2010) and Shirley Scott (1934–2002) were among those who contributed to the city’s significant jazz organ tradition. Philadelphia has also been home to a long line of important female jazz and blues vocalists, including Ethel Waters (1896–1977), who was born in nearby Chester, Pennsylvania, and began singing in Philadelphia in the 1910s; Bessie Smith (1894–1937), who moved to Philadelphia in 1923 at the beginning of her very successful recording career; and Billie Holiday (1915–59), who, although raised in Baltimore, was born in Philadelphia and performed in the city often throughout her career. Philadelphia was also home to a thriving white jazz community. While black and white musicians might play together informally, integrated bands were uncommon prior to the mid-twentieth century. Violinist Giuseppe “Joe” Venuti (1903–78) and guitarist Eddie Lang (real name Salvatore Massaro, 1902–33) were childhood South Philadelphia friends who played with some of the nation’s top white bands and made a series of influential duo recordings in the 1920s and 1930s. Charlie Ventura (1916–72), Buddy DeFranco (1923–2014), Red Rodney (1927–94), and Gerry Mulligan (1927–96) are some of the famous white jazz musicians who came out of the mid-twentieth-century Philly jazz scene. Jan Savitt (real name Jacob Savetnick, 1907–48) played a more polished style of jazz. A Russian immigrant violin virtuoso, Savitt gave up a promising career with the Philadelphia Orchestra to lead a nationally popular swing band. Jan Savitt and His Top Hatters served for a time as the staff orchestra for KYW Radio, where one of their theme songs was “Quaker City Jazz.” Savitt was one of the first major white bandleaders to hire an African American singer when he began featuring local singer George “Bon Bon” Tunnel (1912–75) in 1937. Another Philadelphia big band leader of Russian Jewish heritage was Howard Lanin (1897–1993), the “King of Society Music,” who led popular ensembles for over seventy years, specializing in dance music and “sweet jazz” for Philadelphia high society. During the heyday of Philadelphia jazz in the 1940s through 1960s, the city was alive with jazz clubs and home to many of the music’s leading figures. There were jazz clubs and dance halls in many areas of the city, with particularly important concentrations in the area surrounding South Broad Street in South Philadelphia and along Columbia (later Cecile B. Moore) Avenue in North Philadelphia (the latter came to be known as “the Golden Strip”). Better-known touring bands played the theaters, either black theaters such as the Royal, Lincoln, or Pearl, or, in the case of the biggest name bands, both black and white, the Earle Theater, the ornate showplace at Eleventh and Market Streets. Many Philadelphia jazzmen who came of age in the 1930s and 1940s saw Duke Ellington (1899–1974), Benny Goodman (1909–86), and their other musical idols at the Earle Theater. By the late 1960s, changes in public taste and the music business signaled an end to the golden age of jazz in Philadelphia. 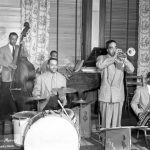 The city remained an important jazz hub in the early twenty-first century—still home to a number of jazz clubs and still producing significant jazz musicians—but was no longer the preeminent jazz center it had been. The local audience became smaller and more specialized and much of the work of presenting jazz was carried out by nonprofit organizations such as the Philadelphia Clef Club of Jazz and Performing Arts, Jazz Bridge, Philadelphia Jazz Project, Lifeline Music Coalition, and Ars Nova Workshop. These groups, together with local clubs and the city’s many jazz musicians and fans, continued the rich tradition of jazz in Philadelphia. Catalano, Nick. Clifford Brown: The Life and Art of the Legendary Jazz Trumpeter. New York: Oxford University Press, 2000. Gillespie, Dizzy with Al Fraser. To Be . . . Or Not to Bop. New York: Doubleday Books, 1979. Golson, Benny and Jim Merod. Whisper Not: The Autobiography of Benny Golson. Philadelphia: Temple University Press, 2016. Heath, Jimmy and Joseph McLaren. I Walked with Giants: The Autobiography of Jimmy Heath. Philadelphia: Temple University Press, 2010. McMillan, Jeffrey S. Delightfulee: The Life and Music of Lee Morgan. Ann Arbor: University of Michigan Press, 2008. Perchard, Tom. Lee Morgan: His Life, Music, and Culture. London: Equinox Publishing Ltd., 2006. Porter, Lewis. John Coltrane: His Life and Music. Ann Arbor: University of Michigan Press, 1998. Schuller, Gunther. Early Jazz: Its Roots and Musical Development. New York: Oxford University Press, 1968. Shipton, Alyn. A New History of Jazz. New York: Continuum, 2007. Shipton, Alyn. Groovin’ High: The Life of Dizzy Gillespie. Oxford: Oxford University Press, 2001. Stearns, Marshall W. The Story of Jazz. New York: Oxford University Press, 1970. Tirro, Frank. Jazz: A History. New York: Norton, 1993. Philadelphia Clef Club of Jazz and Performing Arts collections, online. Institute of Jazz Studies, John Cotton Dana Library, Rutgers-Newark, 185 University Avenue, Newark, N.J.
Philadelphia Clef Club of Jazz and Performing Arts, 738 S. Broad Street, Philadelphia. Former home of Music City, 1033 Chestnut Street, Philadelphia. Former home of Down Beat Club, 23 S. Eleventh Street, Philadelphia. Former home of Showboat Club, 1409 Lombard Street, Philadelphia. Former home of Peps Musical Bar, Broad and South Streets (northwest corner), Philadelphia. Francis Johnson historical marker, 65 S. Fourth Street, Philadelphia. 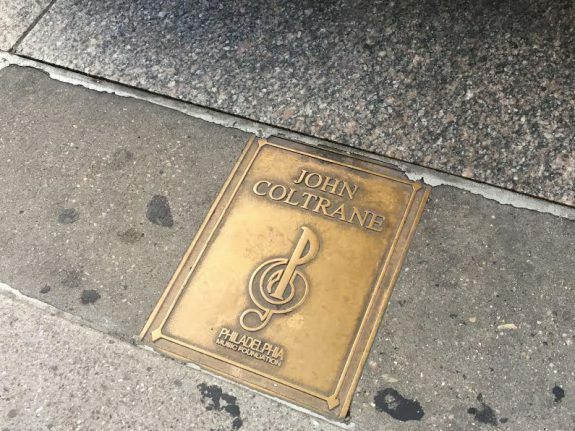 There is no way you can talk about jazz in Philadelphia without including the two organizations that specifically worked to preserve the jazz/Coltrane legacy in Philadelphia – The TraneStop Resource Institute and the John W. Coltrane Cultural Society. This article is lacking. There is no discussion of jazz venues in the 1980s/90s. Further, how can you list places to visit and omit the Coltrane House??? The clubs you listed to visit — Peps, Showboat, etc. no longer exist! The TraneStop Resource Institute was founded in 1979 by the late Arnold Boyd and named after Coltrane. Its primary mission was to promote jazz in general and the legacy of Coltrane in particular. Boyd and many others consider jazz African-American classical music, so the TraneStop advocated for jazz as classical music as well as for jazz musicians and the genre. Boyd and the TraneStop worked hard to unify and promote Philly’s jazz community. They organized an annual jazz seminar to discuss issues facing the art form and those connected to it. Each year, the TraneStop produced the free Annual Community Jazz Concert featuring local jazz artists and poets, to promote appreciation of jazz as an art form. Later, the TraneStop produced the Coltrane Jazz Festival at Awbury Arboretum. Boyd, who made transition in 2006, had also planned an annual, eight-week, jazz-education course for children to help them understand African-American classical music. Since that time, the TraneStop tried to continue Boyd’s legacy under the leadership of Rosalind Plummer-Wood and Ray Wood. Our mission was to 1) counteract negative constraints facing inner-city youth through presentations of the positive cultural forces embodied in jazz and other cultural programs; 2) preserve jazz as an American music tradition by making the contributions of African American jazz artists more visible and accessible and 3) preserve the genius and legacy of John W. Coltrane by establishing the John W. Coltrane Cultural Center at 1509 N. 33rd Street (next door to the house). The Coltrane House, where Cousin Mary lived with her husband Billy, was our headquarters. We spent many days and nights around the dining room table planning how to expose the children to the music and our culture. After incorporation, we immediately began working on getting the house designated an historic site. The Coltrane House was given historic designation by the Philadelphia Historic Commission in 1990 and was added to the National Register of Historic Places in 1999. We felt this was important because people in the community walked past the house every day and knew nothing of Coltrane or what transpired at that location. This is part of our history that the people need to know. 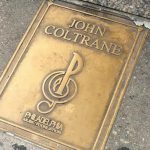 When people speak or write about jazz or the Coltrane legacy in Philadelphia, they must never forget to mention Arnold Boyd, the TraneStop, Cousin Mary, “The Seven,” the John W. Coltrane Cultural Society and remember — teaching the true, complete history and culture is the most important thing.